While away learning at TypeACon in Atlanta, Disney Parks was a sponsor in association with the Disney Parks Blog. Of course, you know what that means: a magical party on Saturday. We had no clue what the theme would be until an email was sent out during the conference hours before the party. We were asked if we had joined Princess Leia and her Rebel Forces, or pledged allegiance to Darth Vader and the Dark Side. A huge thank you to Disney Parks Social Media Director Leanne “Jedi” Jakubowski and Disney Parks Social Media Managing Editor Gary “Obi-Wanna-Be” Buchanan for being amazing hosts during the hyperspace reception. The Force was definitely with us Saturday evening as you will see in the photos below. 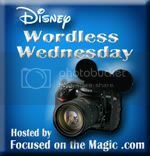 Be sure to stop by Focused on the Magic by clicking on the button above to join in the Disney magic this week. OK, you were SO in front of us taking the Stormtrooper Photos. That was truly an amazing party, you captured it so well! Love your pictures. How cool, looks like a great time. Can’t wait to see more Star Wars in the park. Sean @DisneyDayByDay´s last blog post ..Back from Disneyland Giveaway!! Oh that looks like a fun time at TypeACon!! I would love to go to one! It’s on my bucket list. Thanks for sharing! It was great reading along and following your tweets during the conference! I love the pic of Glow with the Show Ears! Love the Glow With The Show Ears. All pics are great!